Look around, and you will find beauty everywhere, but visit the Adachi Museum of Art, in Yasugi, to see it gathered and presented to you in the most elegant way. Adachi Zenko, an enterprising man who was passionate about collecting art and designing gardens, established the museum in 1970, creating a window into a harmonious world of sculpted gardens and Japanese paintings. The famous museum garden can only be viewed from the museum building, and appears very much like a painting itself, within a beautiful frame. 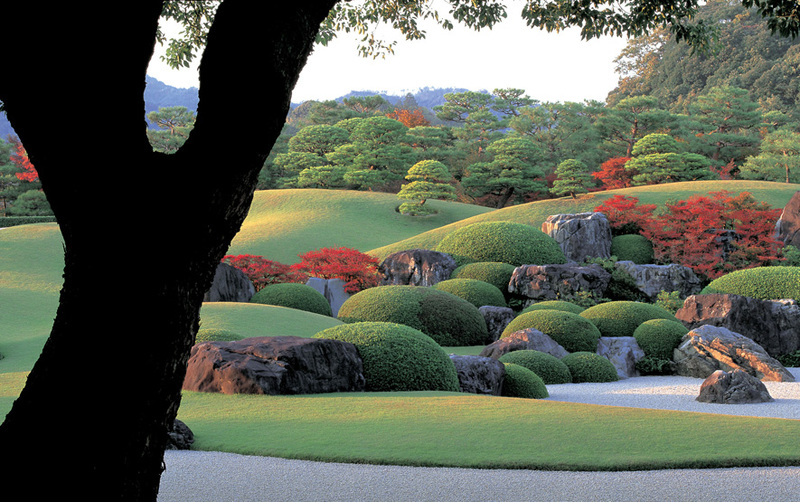 This award-winning garden, named Japan’s best since 2003, reflects a different visual appeal in every season, with Azaleas in springtime, fresh green grass in summer, the changing hues of autumn, and pristine white in winter. The entire garden is sectioned into smaller themes, like the Dry Landscaped Garden, the Moss Garden, the White Gravel and Pine Garden, the Pond Garden and so on, each celebrating a different style, yet lovely in its entirety. 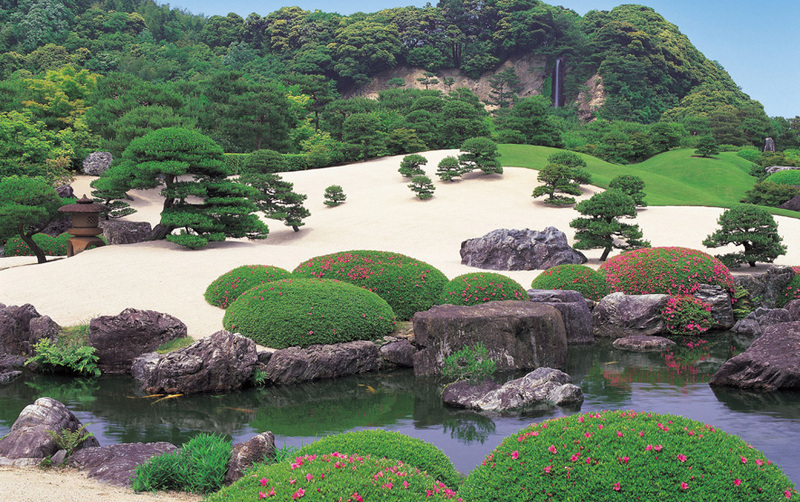 The founder, Adachi Zenko, is said to have collected the stones and pines in his garden himself, from around Japan. The Museum of Art was built on Adachi Zenko’s private collection, and includes an interesting mix of modern Japanese paintings, contemporary art, ceramic works, wood carvings and pictures for children. The Yokoyama Taikan collection is especially noteworthy, some of which is permanently exhibited. If you look closely, you’ll find a strong resonance between his paintings and the philosophy of the gardens. The works of other masters of Japanese paintings like Takeuchi Seiho, Uemura Shoen, Tomioka Tessai, and Kawai Gyokudo are also exhibited here. The art exhibits change with the seasons, to enhance the appreciation of these paintings in the midst of the seasonal garden landscapes. The Ceramics Hall was opened in 1988 to showcase the works of Kawai Kanjiro and Kitaoji Rosanjin, both of whom showed novel approaches to modern ceramic art. The museum also boasts tea houses and cafes, where you can stop awhile, enjoy some tea and snacks, and soak in the atmosphere or appreciate the beauty of the gardens. You could also visit the museum shop and take home some souvenirs. Direct shuttle buses operate every hour between the museum and the JR Yasugi Station for free, so you might want to use that facility. 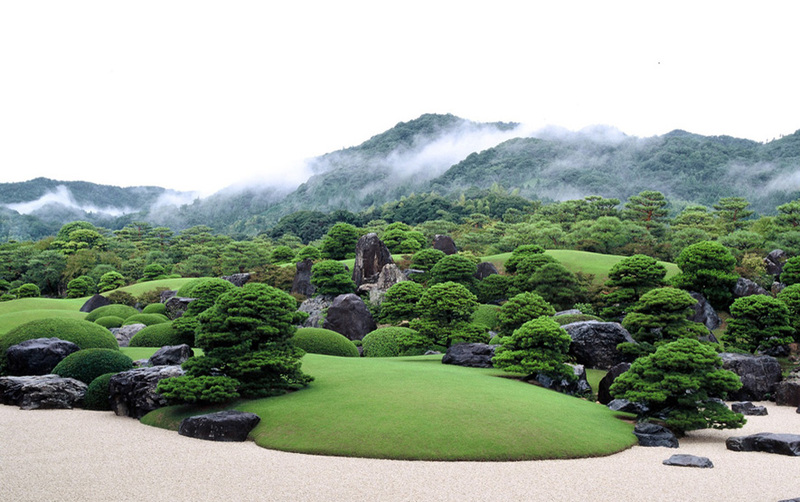 The Adachi Museum of Art is a feast for the senses, and a place you must visit if you love the arts. Make a stop here, you’ll be glad you did! 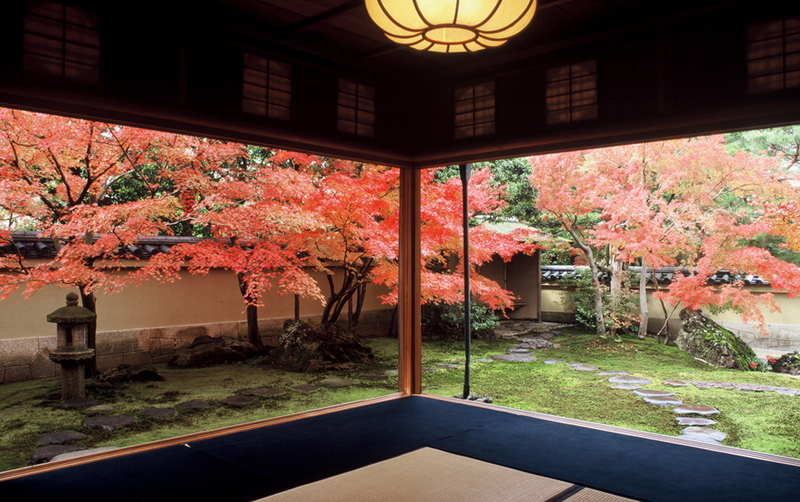 If you are planning a trip to Japan, do not hesitate to contact your luxury travel designer Mr. Isao Numano.